There was a lot of energy and buzz one Sunday evening at the ISU College of Business (Gerdin building)! Had you been a fly on the wall, you would have seen 8 startup teams pitching in front of a panel of 4 seasoned business judges who would anoint the top 3 teams for the 54-hour Startup Weekend Ames event. The great thing about Startup Weekend events are that they are not just for students — anyone of any age and background can join. This Startup Weekend event was held on the beautiful ISU campus (shout-out to ISU College of Business for the space & lead sponsorship). We were fortunate to have both students and area professionals with backgrounds in development, design, marketing, user-experience, and project management on teams. Tillage connects farmland owners, sellers and buyers to find the right farmland. Tillage team pictured L to R: Ethridge Netz (Des Moines), Bret Tomorson (ISU soph., Electrical Engineering, Sergeant Bluff), Mac Liu (ISU soph., Computer Science, Omaha), Kelsey Russel (ISU Sr., Marketing, Ankeny), Brian Chang (ISU Sr., Chemical Engineering, Sioux City), Steven Brockshus (ISU Jr., Ag & Life Sciences, Sibly), Scott Kubie (Des Moines), Kalyan Mysore (Des Moines). Settle In gives real estate agencies and their agents a powerful and personalized home search experience. Settle In team pictured L to R: Nathan Joens (ISU Sr., Community & Regional Planning, Johnston), Andrew Dickelman (Johnston) , Aaron Havens (ISU Sr., Mechanical Engineering, Des Moines), David Hoffman (Marshalltown). Drone Law is an app to show all local laws for all drone owners to stay up-to-date. Learn more at http://www.dronelaw.co/ or email Nolan at nolanh12@iastate.edu. 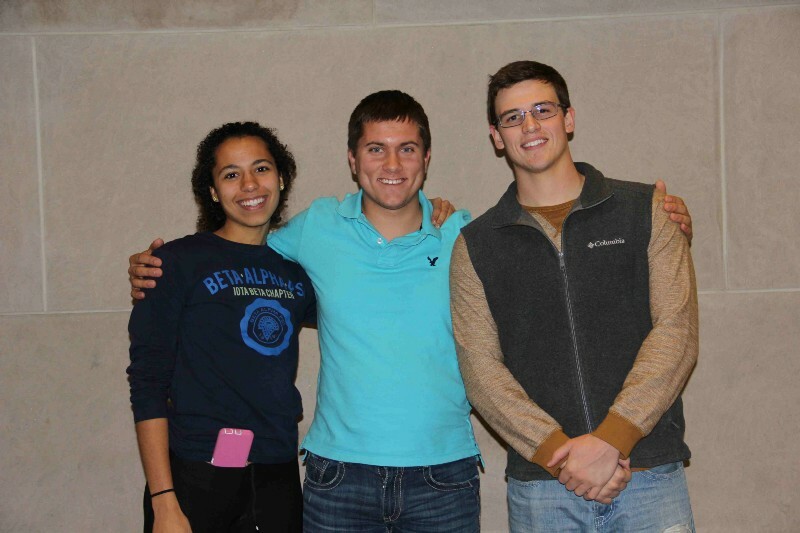 Drone Law team pictured L to R: Liz Welu (ISU soph., Accounting, Dubuque) , Nolan Herlocker, (ISU Jr., Industrial Tech, Cedar Rapids) Michael Strawn (ISU Sr., Mechanical Engineering, Saint Charles). Each of these mentors and judges spent over 3 hours of their weekend to help with each of the 8 startup teams. We know the teams couldn’t have done it without their sound and seasoned advice and we appreciate how all of our mentors and judges eagerly said ‘yes’ in volunteering their valuable time! Without a doubt we wouldn’t have been able to plan and operate a Startup Weekend event without the money people that made it all possible! Through sponsorship for prizes, marketing & promotion, and all the food (think 7 catered meals)— we truly appreciate all of our 7 sponsors who helped us pull off Startup Weekend Ames. Let’s just say Blake was absolutely critical in creating a successful Startup Weekend event. Blake came from Iowa City and spent her entire weekend in Ames — the Cyclones thank this Hawkeye! She helped facilitate and lead the entire 54-hour event. Thanks, Blake! 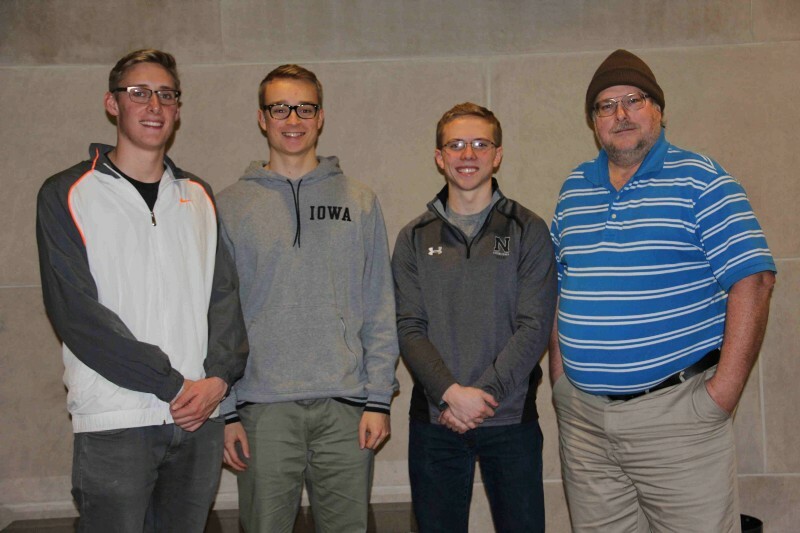 Lastly, kudos to all three organizers who led and made it a priority for the Ames & Des Moines to have a Startup Weekend in conjunction with the 4 other Iowa Startup Weekend events happening simultaneously for Global Entrepreneurship Week. It takes a lot to pull off all the planning, sponsorship, ticket sales, marketing & promotions, catering, and operations/logistics for a Startup Weekend — thanks Geoff, Diana, and Sam! Be sure to keep an eye out for Startup Ames’ next meetup in December, featuring the top teams from Startup Weekend Ames. 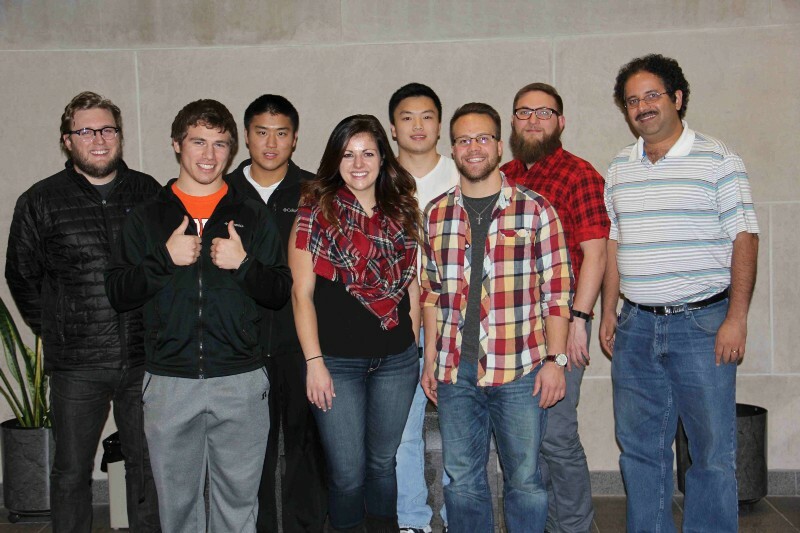 Want to checkout the Startup Weekend Ames photo album? Head over to Facebook. Email Diana if you’d like to be involved or on the early-bird list at dkw@iastate.edu.